Hyper-partisan politics and shallow journalism obscured the implications of the protests at Kwame Nkrumah University of Science and Technology. Image credit Dominic Chavez for the World Bank via Flickr. On the morning of October 22, 2018, students at Kwame Nkrumah University of Science and Technology (known more by its acronym KNUST), the second largest university in Ghana, planned a peaceful demonstration over a wide set of grievances that soon turned violent. Even before local police and military officers arrived with guns and armored vehicles, a large group of students began to smash windows and burn cars. Students targeted key administrative buildings and security checkpoints, damaging and looting property. After an emergency meeting, the Ashanti Regional Minister, a regional administrator appointed by the President, declared a dusk-to-dawn curfew, and all students were told to leave campus by the following day. At that point, the governing party politicians announced that the university would be closed indefinitely. Faculty and students had no idea when they might be able to return to campus and resume classes. This was a major and unexpected political crisis in what is widely touted as one of the most consolidated democracies in Africa. What was the cause of the student uprising? Identifying leaders and causes proved somewhat difficult at first, so most people trying to make sense of the protests, took their cue from the media. Local media coverage was circumscribed and focused narrowly on the proximate causes for conflict. The story was oversimplified. Many media outlets reported a single cause for the “riots”: students were resisting the current Vice Chancellor’s move to integrate traditionally all-male residence halls. But, this decision had been implemented months earlier and was not the immediate catalyst for the student action. International media (including that of other African countries) has not covered the campus crisis, leaving Ghana’s democratic status untarnished. Ghana usually gets depicted as a site of robust, but peaceful democratic politics with a series of free and fair elections and room for political dissent. The lack of close analysis of the protests, also missed an opportunity to understand how informal political institutions can play a key role in mitigating authoritarian actions. The media also missed the underlying rationale for making campus dorms co-ed. The objective was to provide more rooms to females in centrally-located halls so they wouldn’t have to walk as far late at night, risking sexual assault and harassment. The heavy stigma of sexual assault not only hindered reporting by young women about the frequency of these experiences, but also weakened the public communication of the rationale for these reforms. None of this context was mentioned in any of the media accounts of the protests. Also rarely mentioned by the media was a different type of campus security problem. Unquestionably the most immediate catalyst for the protests was an incident of brutality just a few days earlier between a campus security officer and a student. The weekend before the protests, a series of social media posts had spread false rumors that the student had been beaten so severely that he was still in a coma, or had permanently lost his memory. In reality, the student was hospitalized but thankfully recovering from his injuries. 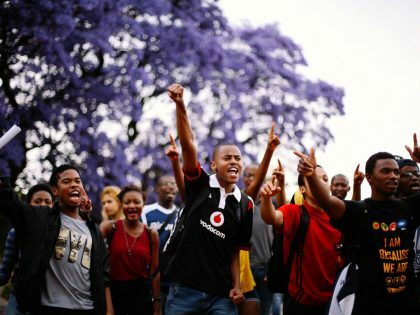 Students and concerned observers did not share widely the fact that the student had been intoxicated and attempted to stab the campus security with a knife during the encounter. This was not the first complaint about the harshness of campus security, however. Students had repeatedly reported incidents, but felt that the university administration was not responding adequately. The administration had fired several campus security officials, as well as a teaching assistant who was earlier shown caning a student in a video that resurfaced and went viral after the campus protests, but they did not communicate these actions effectively to the student body. Hyper-partisan divides at the national level further obscured the complexity of these multiple student grievances and serious communication gaps between the university administration and students at the campus level. Rather than trying to uncover the root causes for student protests and facilitate student input on real solutions, sections of the media and politicians refracted the conflict through the lens of national party allegiance and opposition. The ruling New Patriotic Party (NPP) government initially ignored the existing formal rules for mediation of the conflict and dissolved the university’s Governing Council. The government established an “Interim Council,” removing the Vice Chancellor of KNUST, who was known to be an opposition NDC party supporter. The local branch of the University Teachers Association of Ghana (UTAG) recognized this fundamental threat to academic freedom. By the end of the first week, KNUST lecturers had resolved to go on strike and were mobilizing to convince the other nine public universities in Ghana to shut down in solidarity with KNUST. Even more important than the threat to academic freedom, however, this threatened democracy and the rule of law in Ghana. The historical record on this is not promising. The formal political institutions for mediating such conflicts were initially disregarded by whoever was in power. Looking back over the post-independence period in Ghana, university students have protested before, but the government response has varied with the level of democracy in the political system. Generally, more authoritarian regimes, either single-party or military types, have tended to crack down with more force on student uprisings than in more recent years under a more competitive multi-party system. 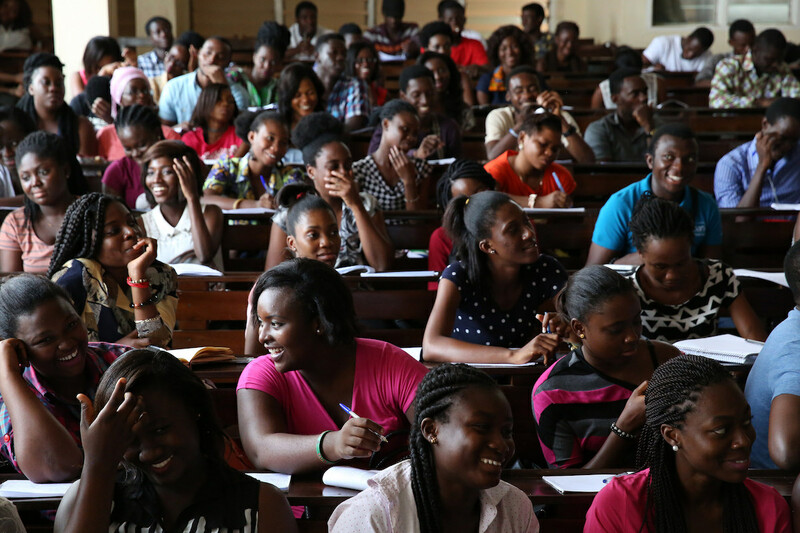 The National Union of Ghana Students (NUGS), formed in the 1965/66 academic year out of the then three public universities’ student unions, namely the University of Ghana, University of Cape Coast and KNUST, in order to challenge the growing autocracy of the single-party CPP regime led by Nkrumah. NUGS subsequently criticized the policies of the Supreme Military Council (SMC) led by General Ignatius Acheampong in the 1970s. Several student demonstrations were staged against the regime’s proposed “UniGov” project. In 1977, the SMC proposed the concept of Union Government (UNIGOV), a political system with no political parties where the military, police and civilians would form a union to govern Ghana. The military government responded by sending the police and the military to contain student demonstrators at the University of Ghana. The violent confrontation resulted in the death of the then-president of NUGS. The SMC then placed all public universities under the control of the Ministry of Education so as to deny them autonomy. The students protested this move by staying away from lectures, and the SMC government ordered all universities to be closed. Another remarkable incidence of student-government confrontation happened under the Jerry Rawlings’ PNDC military regime in the 1980s. After enduring criticism from the student union over its human rights record, PNDC activists attacked the NUGS during its congress at KNUST in May 1983. Many students sustained various injuries. The students set ablaze some state vehicles. After the student uprising, a warrant was issued for the arrest of the president and secretary of NUGS for treason. Following this incident, the universities were closed down for almost a year. The return to multiparty democracy did not end confrontation between students and the state. Instead, the conflicts have been less violent and less prolonged. The introduction of fees in the late 1990s was met with student resistance. The response from the government and the university management varied, but Legon and KNUST were closed down for a short period. In the October 2018 student protest, the initial government response seemed to echo the more authoritarian patterns in Ghana’s history, but then, those actions were softened. Finally, one week after the violent student protests and threatened faculty walkout, the government of Ghana dialed back their position and agreed to uphold the formal political institutions. This was a crucial move on the side of government, signaling respect for the formal political rules of mediation as well as the independence of the university from partisan manipulation. The events reveals the importance of informal political institutions in this emerging democracy. The government initially rejected the idea but then later appealed to the Asantehene, the current king of a precolonial political system, to play a key role in the mediation. After the democratic transition, the 1992 constitution allowed the Governing Council to appoint the Chancellor, rather than having the Head of State automatically serve as Chancellor for all of Ghana’s universities, as had been the practice of the recent authoritarian past. Since 2005, the Asantehene had been named and served as the Chancellor of KNUST. Anybody who has any concerns, knows of whatever that would help in the smooth administration of university, whatever has gone on, whatever; the students, if they have issues, they should go to tell the committee; the alumni if they have any issues, they should tell the committee; the Vice Chancellor will also be given the opportunity to also; whether if there is any accusations against him to also appear; everybody would be allowed in an open frank manner, so that we can get to the bottom of what has happened. Ironically, in such a highly polarized partisan atmosphere, where every actor is seen in the color of their political party, a non-elected political figure was asked to intervene, to draw on deep roots of legitimacy in order to fill in the cracks left by electoral competition. In sum, the government’s initial response to the student protests revealed some of the weaknesses of the hyper-partisan politics in Ghana. The tendency to view conflict in terms of political party rivalry obscured the serious grievances held by students about gender equality and campus security. The media also reduced what was a very complex situation to a single and erroneous representation of events. What helped to pull faculty and students back together was the important role of civil society organizations. Both the teacher associations and student groups on campus as well as the chieftaincy institutions in the region helped to facilitate a constructive dialogue to begin to resolve differences and chart a peaceful path forward. 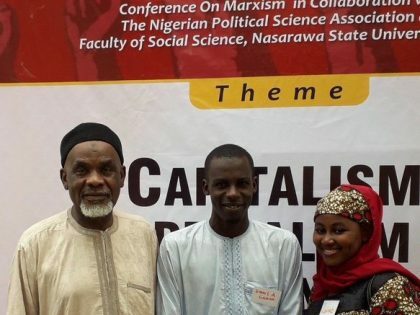 The rebirth of the Nigerian left? What has the world’s Moët drinking capital and a world leader in global indices of private jet ownership to do with left politics? 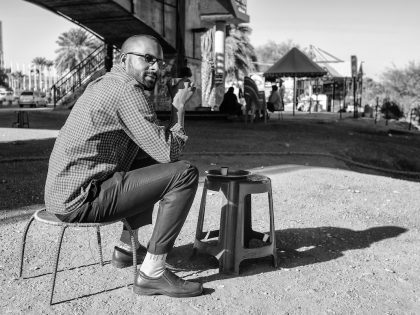 Fallists draw on scholars and activists like Fanon and Biko, and concepts like intersectionality, to weave together a decolonial framework. 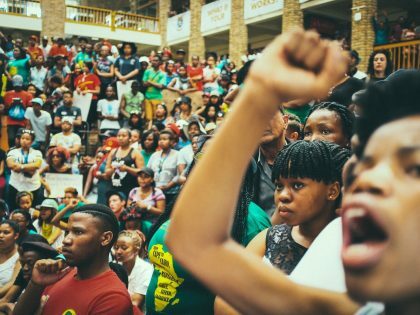 After the reawakening of South African student activism, where to next?